Armani was born in an average family in Piacenza, a small town south of Milan. As a young man he was interested in theater and anatomy. Often his brother Sergio made improvised plays at their home, and Armani used to make the clothes for the dolls from rags. Despite those early appearances of his talent, Armani decided to go ahead and study medicine. Nevertheless, on the third year of his study it turned out that this was not his calling, so he dropped out. The blood he had to see during practice made him feel sick. By the 40th anniversary, Giorgio Armani has worked as a showcase decorator for men’s fashion and also as a designer in the Nino Cerruti fashion house. He also made several individual collections under other brands before taking the important step to create his own brand. For this purpose, he got help from his life partner at that time, Segio Galeotti, who enthused him to believe in what he was doing. The two of them started together in a small room where Armani created his clothes from top to bottom, and Galeotti sold them to various department stores even before they were made. They earned their funds for the start of the business after selling their old car. The money, however, were quite insufficient so Armani had to paint the dots on the fabric as they could not afford to buy a fabric with the pattern. In 1975, when they presented their first collection of modest amount of men’s and women’s clothing, Italy was experiencing difficult economic times. In spite of that, the collection was a great success and had huge sales at the largest US department store Barney’s. 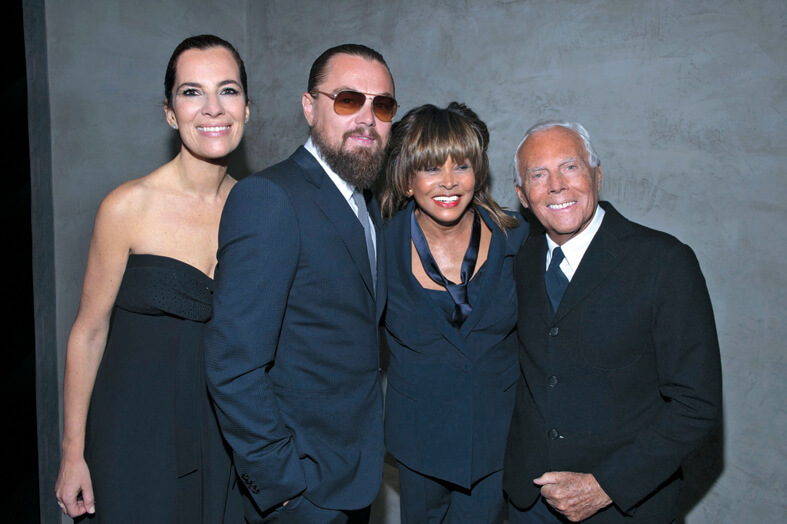 Armani never hid that he finds it natural to work with celebrities who would present his clothes on the red carpet. For such an honor in the fashion world, designers often had to invest in different celebrities by periodically gifting them clothes. In return, quite naturally, when the time of the Oscars comes, most of them feel obliged to wear a garment of that particular designer who has been dressing them throughout the year. But this is not Armani’s style. He finds it normal to be friends with the celebrities and their choice to wear one of his garments is to be dictated by the fact that they actually like his clothing. 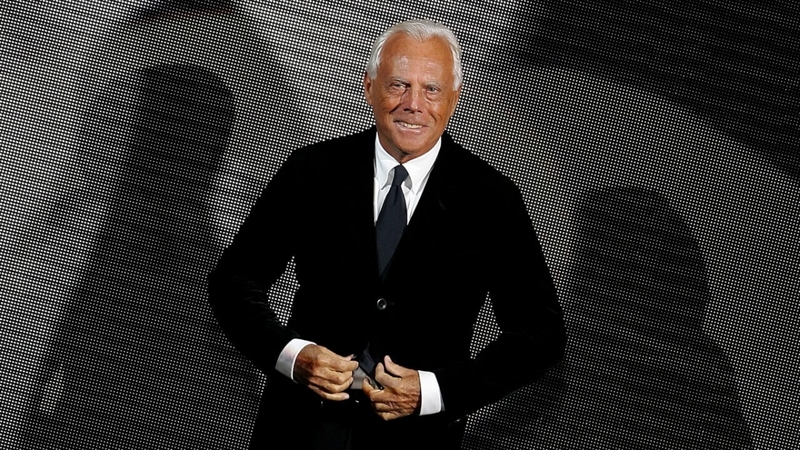 Armani does not think collections should be created every season and says he does not see the need for fashion to race at such a fast pace. Nevertheless, he keeps offering his fans new and new designs, since this was expected from him. 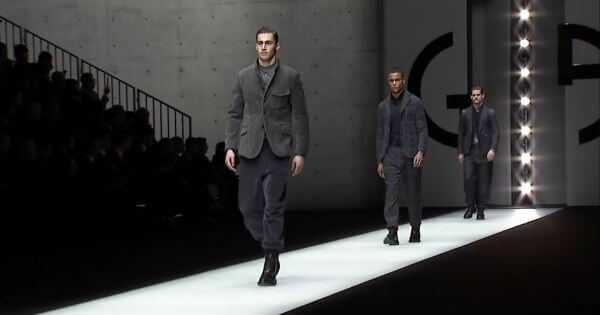 Men’s and women’s jackets, as we know them, are due to Giorgio Armani and his desire to create comfort and ease in the wardrobe of the modern working person. For this purpose, he removes padding and fusing materials, searches for the finest fabrics possible. Often, his style is being described as so simple and clean that can be called minimalistic. Yet it is not. There is playfulness and sensuality, but not vulgar sexuality. He always chooses one element to be in focus in his designs. They say about him that in the 1970s he took a pinch from the strict male wardrobe and put it into the ladies’ wardrobe, and vice versa. That is exactly the philosophy he preserves till today. Thus, he achieves softness and balance in the final look. 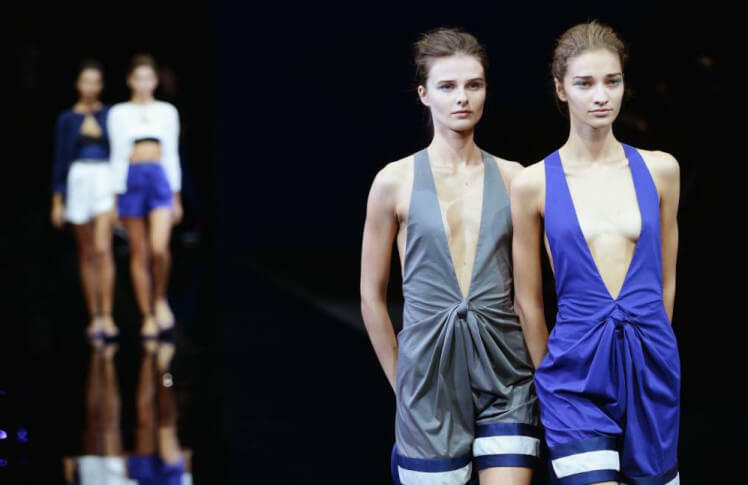 Armani is the one who provides women with aesthetic emancipation. In male clothing he removes the boring perception of the suit as a uniform and offers more variations than they could have imagined. 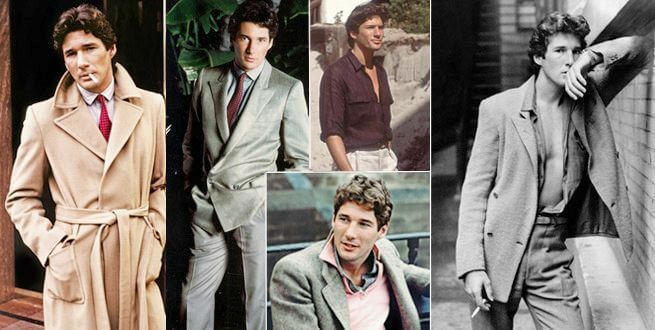 One of the most iconic movie scenes to demonstrate this is the movie “American Gigolo”. 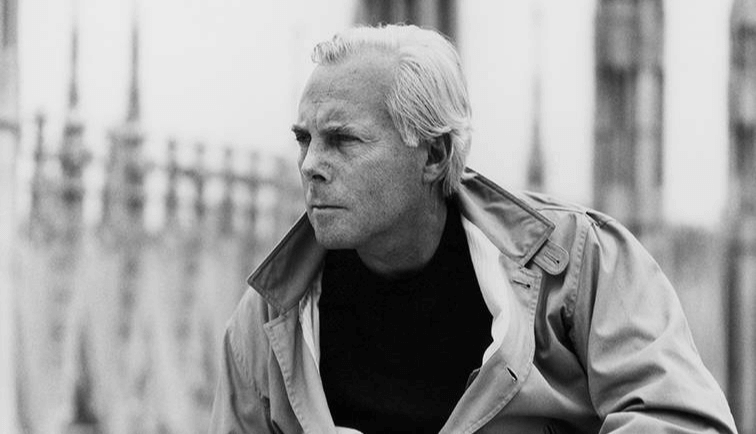 After his appearance on the fashion scene caused a huge international blast in the late 1970s and early 1980s, Armani quickly began to offer not only clothes but also other additional items. They completed his concept of beauty and fashion. Each of them was almost always created in a similar way – after the artist has been disappointed with a particular service or interior. For example, he created his chain of hotels, restaurants and cafes all over the world, that are always accompanied by his stores. The interiors in those places are again his own design and follow the overall direction of the Armani line – cleanliness and minimalism. Under Armani’s hat are Giorgio Armani, Emporio Armani, Armani Collezioni, Armani Jeans, Armani Exchange, Armani Junior, Armani / Casa, Armani / Dolci, Armani / Fiori, Armani / Hotels, that include kids` line of clothing, chocolates and sweets, flower shops and others. In 2006, Armani was the first designer to forbid the participation of size zero models in his fashion shows. His position is for a healthy appearance and women of normal weight and shapes. He expressed his firm opinion against anorexia by trying to unite all designers in a unified opinion not to work with models with a body mass index less than 18. The reason for that was the death of the 22-year-old Uruguayan model, Luisel Ramos, who put herself through starvation for 3 months. 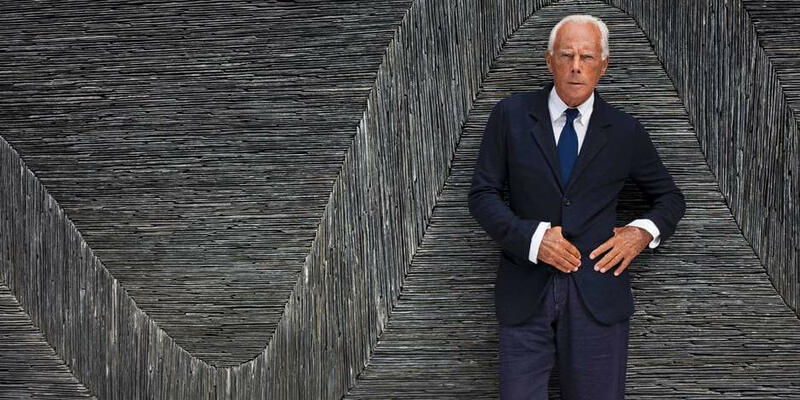 A true innovator, Armani is often the first in what he does. He seeks ways to provoke the audience and succeeds in sensing the pulse of trends. For example, in 2007, Armani decided to show one of his collections live online. 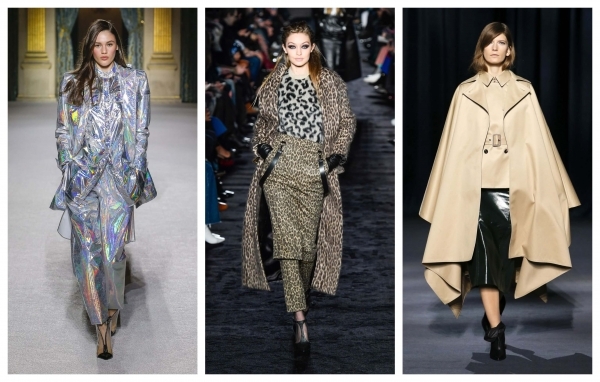 The term live stream is not something new nowadays, and all brands are doing it, especially during the fashion weeks in the different fashion capitals. When Armani decided to do it for the first time, most people found it too risky, because his creations could be copied in an instant. For a person like him, however, who was used to the fact that his products are a subject to imitations, the designer decided to take that risk and, of course, continued to work to stay different.